Notes: First discovered in Macedonia in 1985, it has rapidly spread across Europe and is gaining a rapid foothold in the UK, since its discovery in 2002. 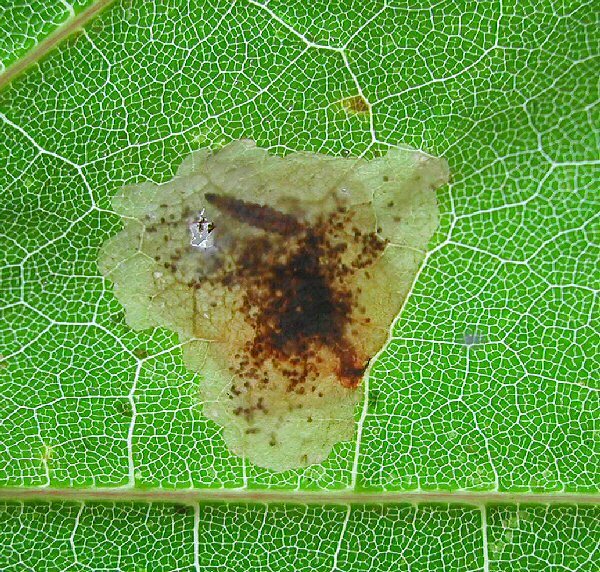 There can be many mines on a leaf and the miner can cause serious defoliation. It is occasionally found mining Norway Maple (as shown), particularly in heavy infestations.